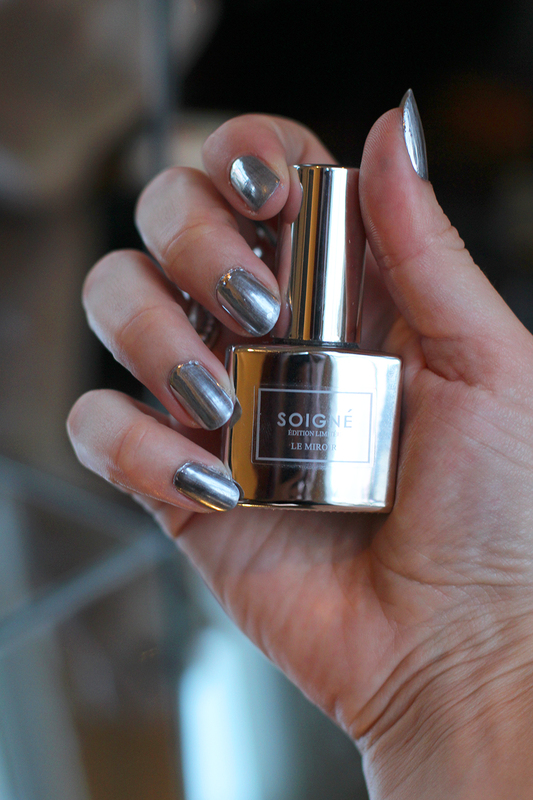 The Oxygen Base Coat preps nails well and leaves them smooth and ready for colour. Next, two coats of Le Miroir, which is NUTS: it gives nails a high shine silver chrome finish, but it doesn't last very long. After a few hours, scuffs start to show and the mirror effect is kind of buffed off. But for those first few hours, I couldn't stop staring at my ten little mirrors at the end of my fingertips... It's great for the 'gram, or for a special event. You don't use a top coat with this one, but I've also been wearing the pretty pink Limonade Rose and finishing with the super glossy Gel Effect Top Coat, which makes your mani last a good 3-5 days. 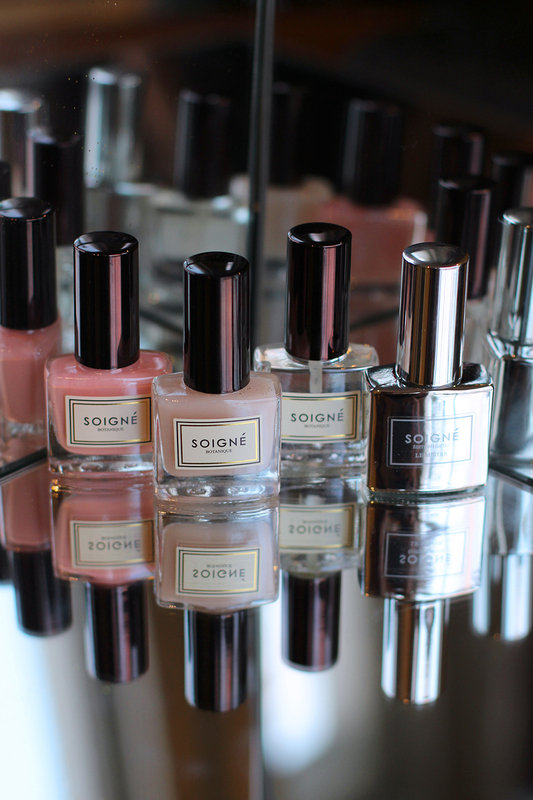 Have you tried Soigné yet?